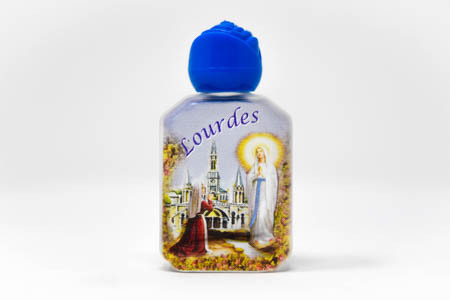 CATHOLIC GIFT SHOP LTD - Blue Rose Top Colour Bottle of Lourdes Holy Water. Blue Rose Top Colour Bottle of Lourdes Holy Water. Lourdes water bottle filled with Lourdes water with blue rose top cap. This bottle is filled from the spring from the grotto in Lourdes.